You are here: Home / You Brought Your Daughters! / My Clemson / Lifelong Tigers / You Brought Your Daughters! 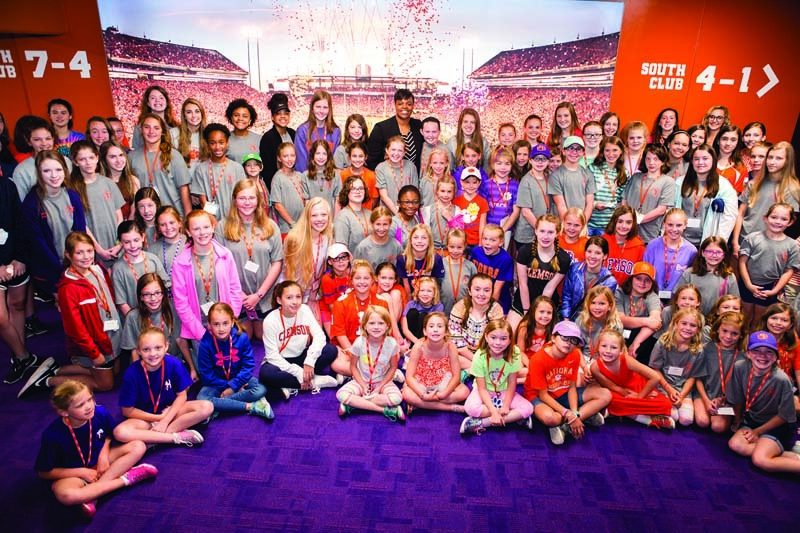 The Women’s Alumni Council held the 19th annual Bring Your Daughter to Clemson event in May. More than 40 volunteers from the council hosted and staffed the event that brought 132 girls aged 6-18 and their chaperones to campus. A mix of activities was planned to provide participants a better idea of what life as a Clemson student entails. Faculty members from eight different departments led educational activities for the girls, who also explored campus through tours that ranged from the football operations facility to the Carillion. The group attended a Breakfast of Champions held in the football stadium. The event also serves as a fundraiser for the Women’s Alumni Council, with proceeds going to the Alumni Council Scholarship Endowment Fund. Registration for next year’s event will open in early spring. Eight win NSF Graduate Research Fellowships All the Ways You Can Reunion!